The cobblestones under foot are smooth and worn, ground down by thousands of feet over hundreds of years. Crumbling ramparts curve round to reinforced towers, from where the view stretches out over acres of vineyards and olive groves. Arthur runs across old foundations, stopping to slip inside the remains of a windmill, his hair buffeted by the breezes that blow fiercely through the ruins. We talk about how the location of the castle is so perfect, how its inhabitants would have seen people coming from miles around. 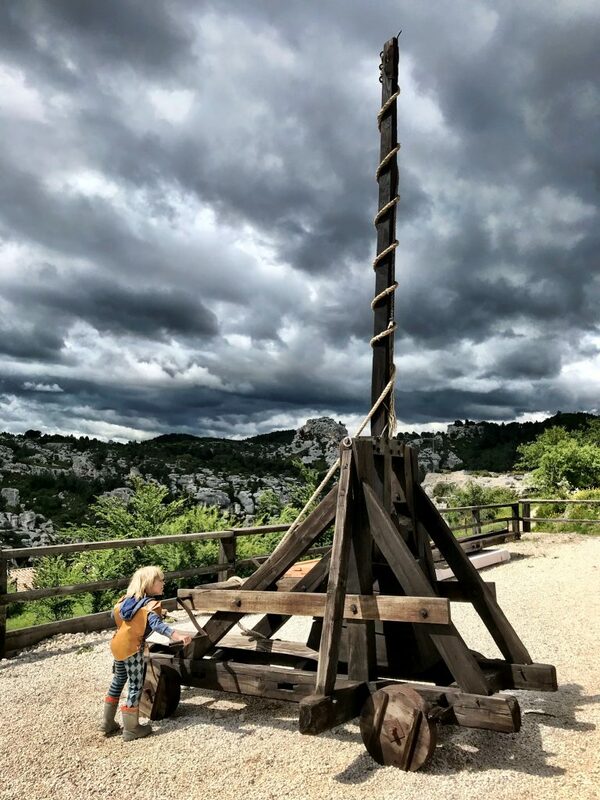 Arthur is fascinated by the trebuchet, the biggest in France, and the raft of other siege engines that told the story of the many battles that were fought here. 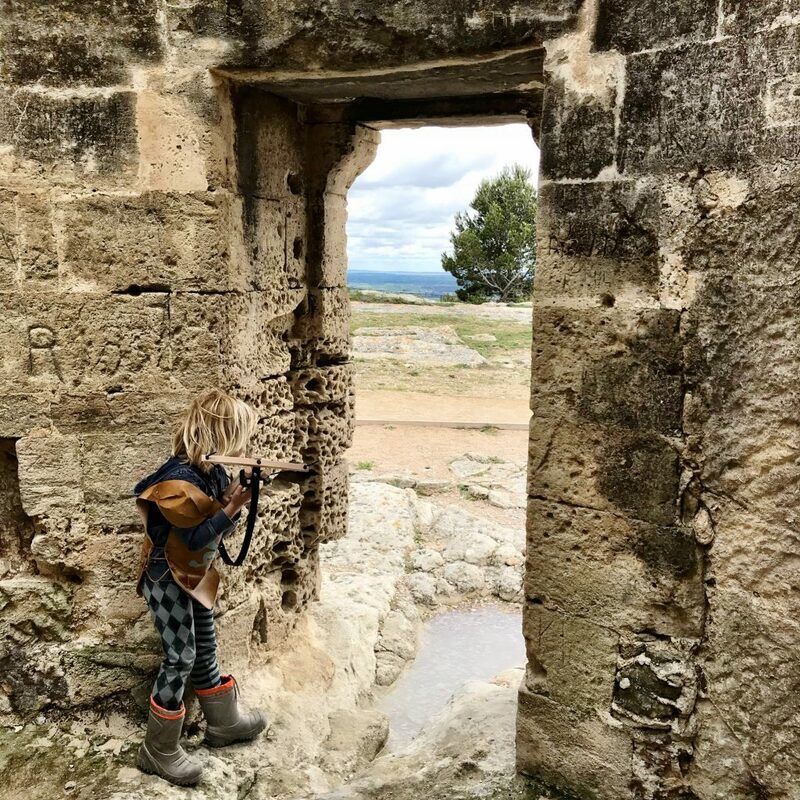 His imagination had been captured as we walked through the narrow streets of the fortified village of Les Baux de Provence that the chateau protected. It was beautifully preserved, though heaving with tourists even out of season. No-one lives there now – the ‘locals’ come in each day to serve in restaurants and sell souvenirs. It was one of the souvenir shops that Arthur was drawn to. It had an ornately carved chess set in the window which he saw first, swiftly followed by a wealth of knightly paraphernalia. His face it up as he picked up wooden swords and pointed excitedly at bows and arrows. It was a small wooden crossbow though that won us over – he’s wanted one for months. And I couldn’t resist a tabard to go with it. Kitted out in his new gear he owned the streets as we sought out the castle, barely able to contain himself when we found it. 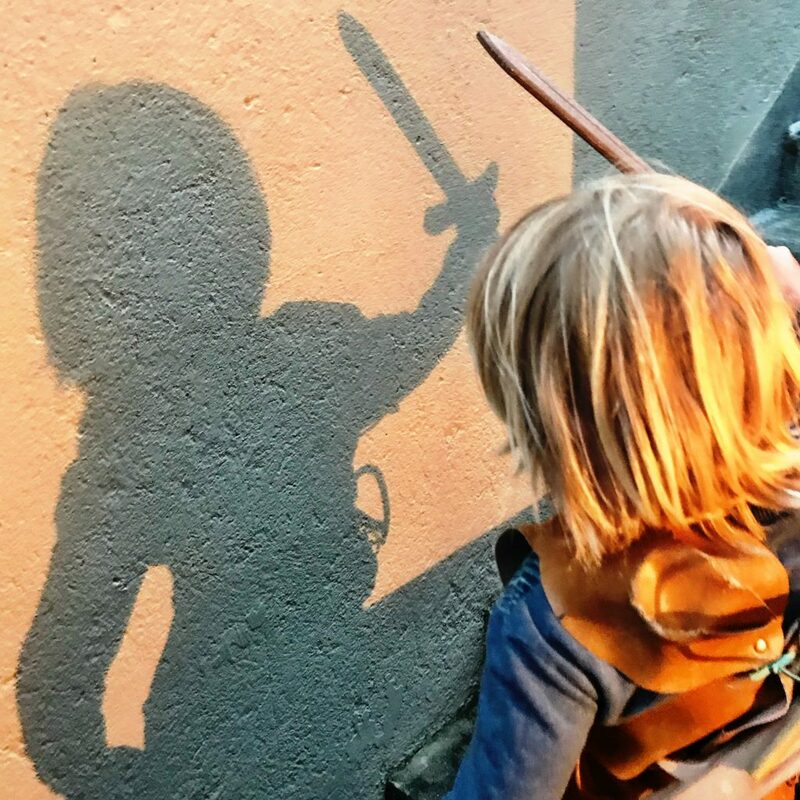 He made a very convincing young squire – and quickly grew into his role. Whilst weapons are a major topic of conversation at the moment they were not the only thing we talked about. 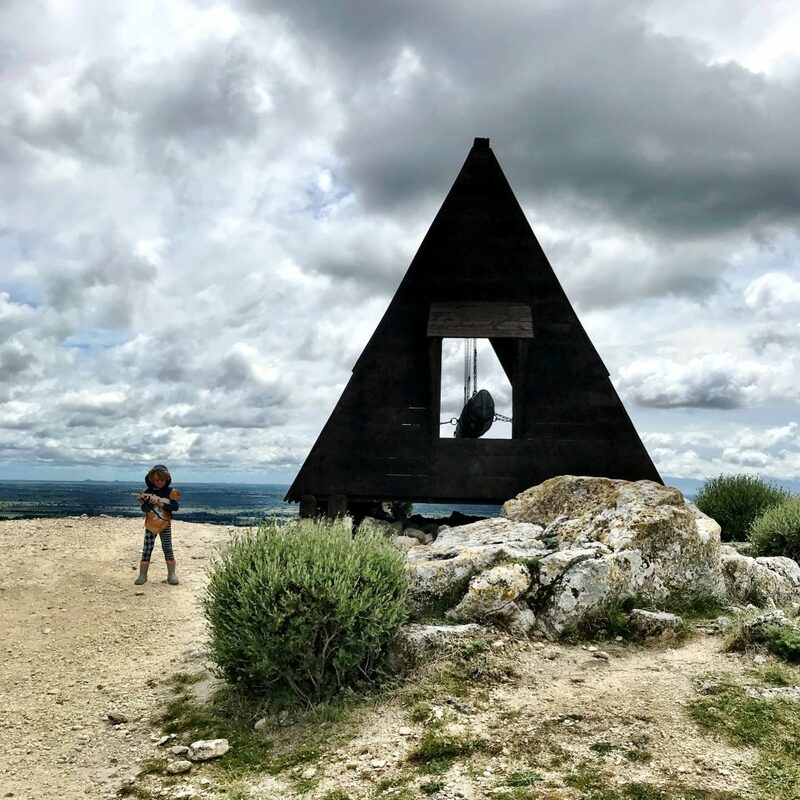 There was a tumbledown graveyard attached to the chateau which drew his attention too, sparking conversations about everything from religion to the process of decay. 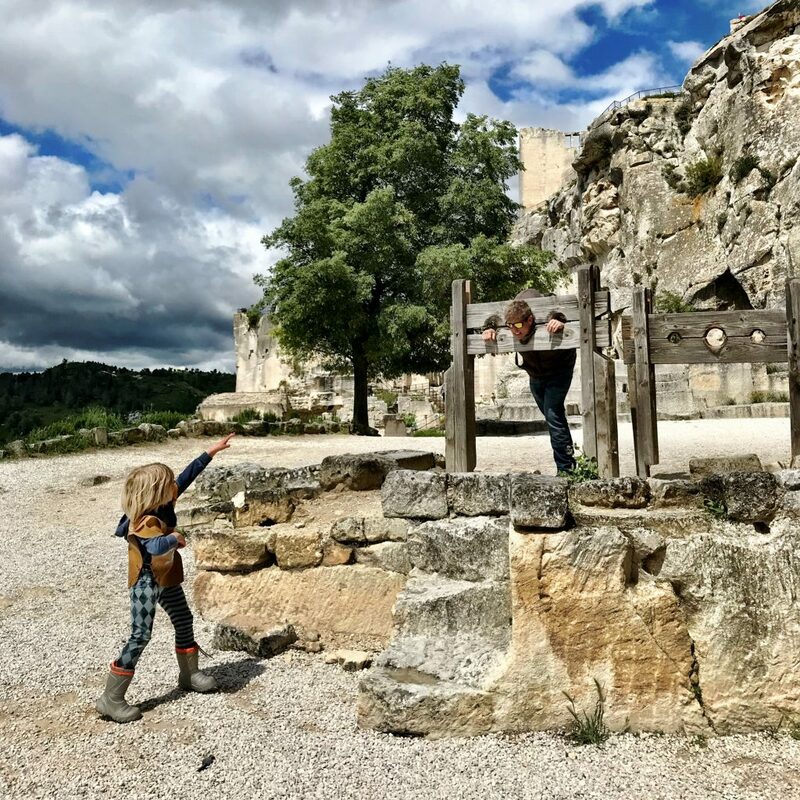 We spoke about the fruit trees, and those vineyards and olive groves, and explained how their bounty had been the foundation of peoples’ diets long before the castle fell into ruin. He told us about the battering ram he spotted from a distance, dashing up ahead to point out how it would have swung against the walls to break down the defences. 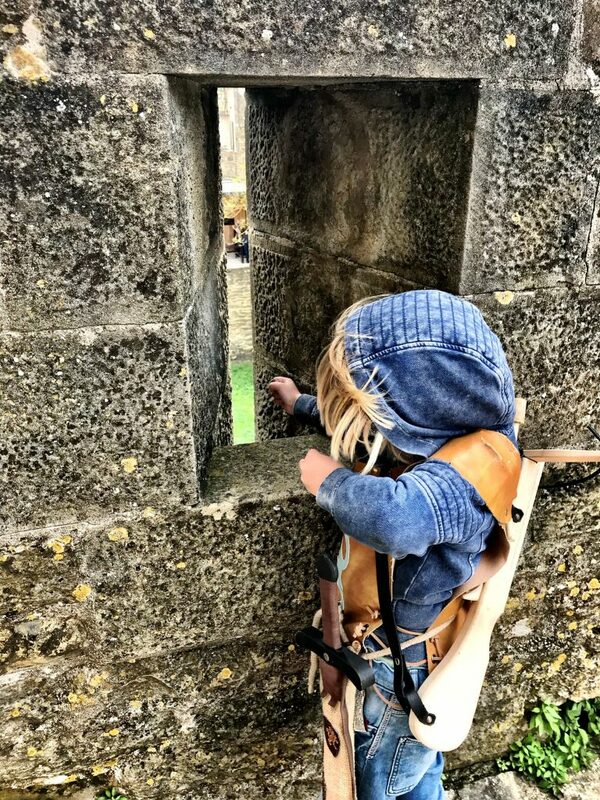 We ordered Leigh into the stocks, whilst Arthur mimed throwing rotten food and imagined what sorts of misdemeanours might have landed him there. And for all that we talked about, so much more went unsaid – the atmosphere that he was inhaling from this spectacular site, the details that have seeped into conversations since, stored away until they are relevant, or until they spark a question in his mind. A couple of days later we found ourselves at another castle, in the similarly impressive yet very different Carcassone. 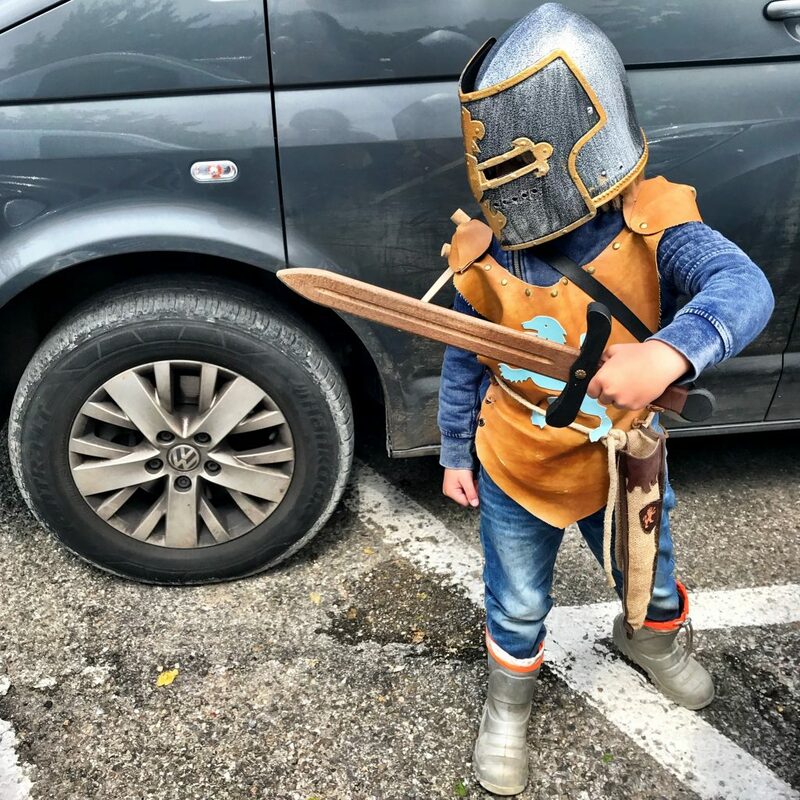 Arthur insisted on donning his knight’s costume when we set off to explore, his gait shifting as he did so. He turned heads again – especially when he added a sword to his gear. 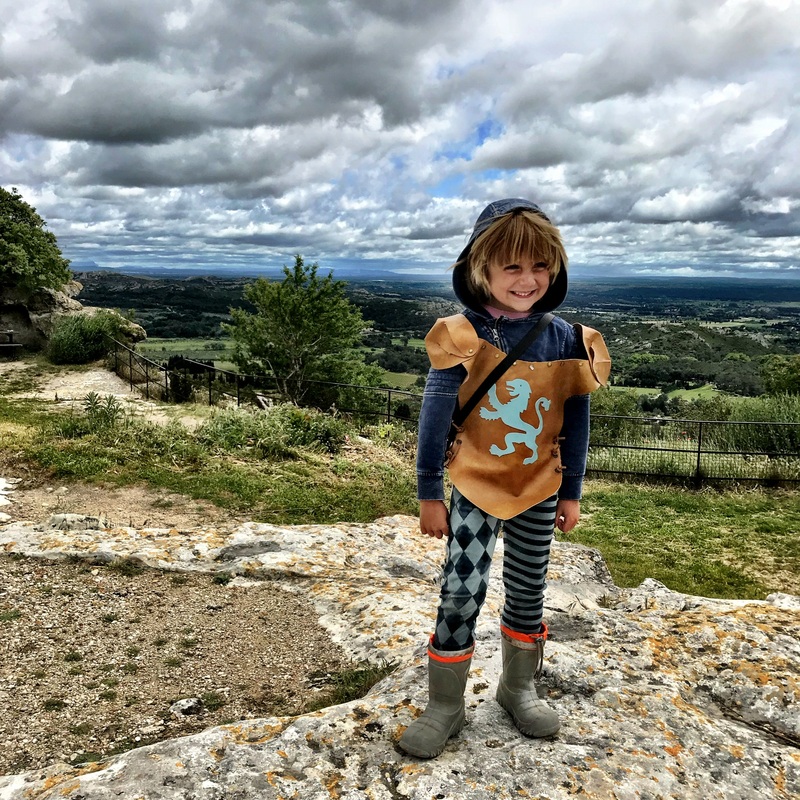 We really hadn’t meant to get so caught up in buying things – have avoided it successfully for most of this trip – but there was something visceral in his desire to be a part of the history he was learning about which was hard to resist. 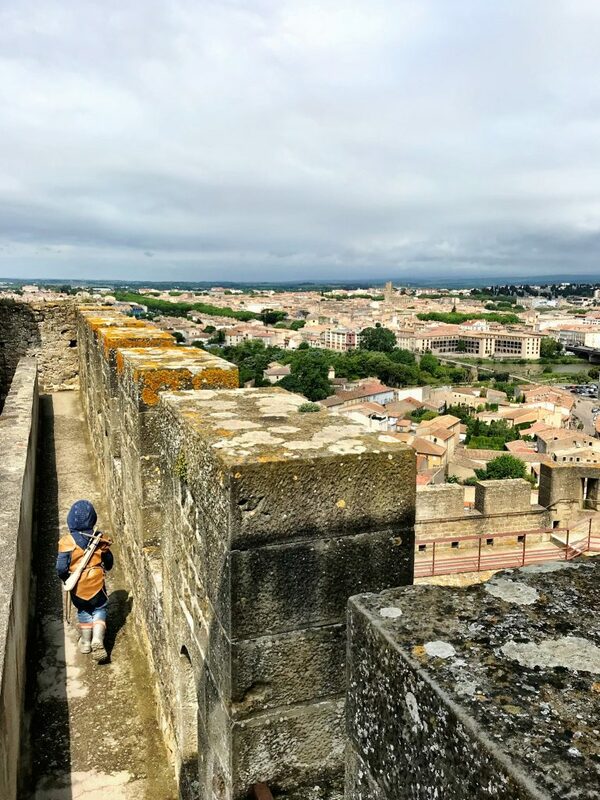 Carcassone castle wasn’t quite as captivating as Les Baux de Provence, but it was still pretty awesome. The view from the ramparts, and again the biting wind, transported us back to a very different time. 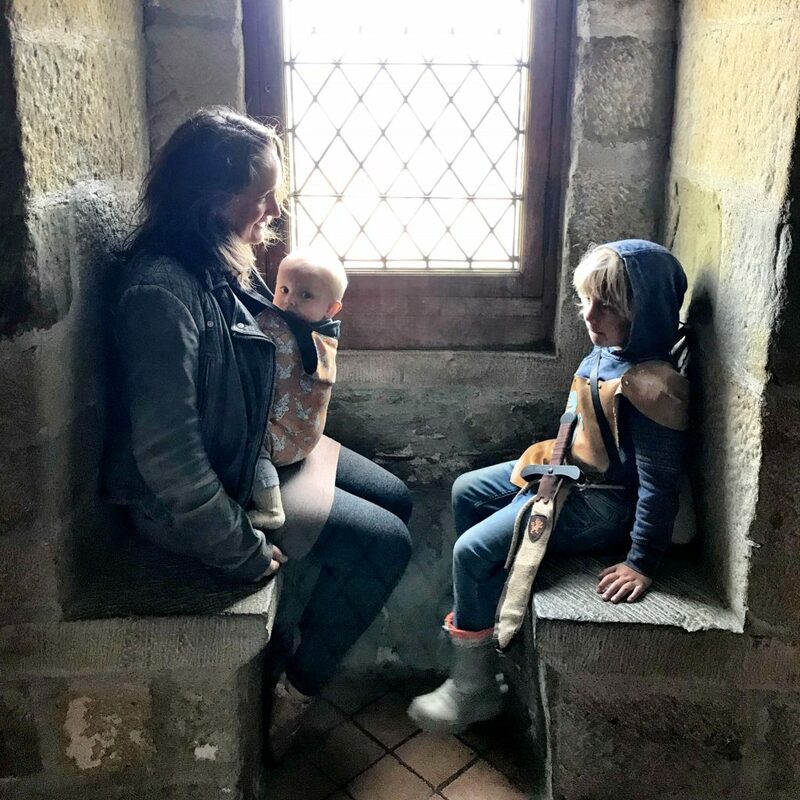 We talked a lot about architecture, about form and function – although the structure of the castle may not be entirely authentic it has been brought back to life so convincingly that there was definitely plenty to discuss. 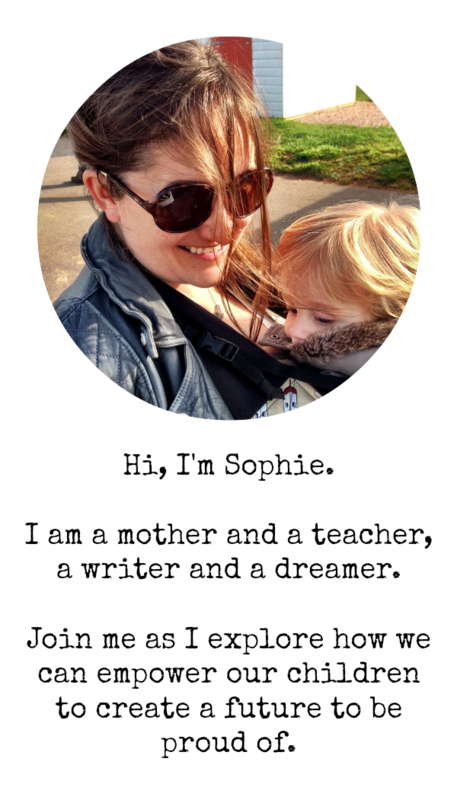 Arthur was keen to make plans for ‘our homeschool’, too – about things he wants to create and find out more about. I’ve started a list which we can come back to when we’re home: and delving deeper into medieval Europe will undoubtedly feature strongly. There is nothing that quite beats getting inside history to really start to understand it – the buildings themselves, but the costumes too. It was magical how fully Arthur embraced that of his own accord (with just a little bit of help from us to make his vision a reality). By the time we got back to the van his persona was complete, the distant history and culture alive in his imagination, leaving seedlings of inspiration which will continue to grow long after we have left those cobbled streets behind.